Sammy lives happily under the care of his faithful shepherd. But one day he meets a sheep from another flock, one who lives in misery because her shepherd is not so caring. 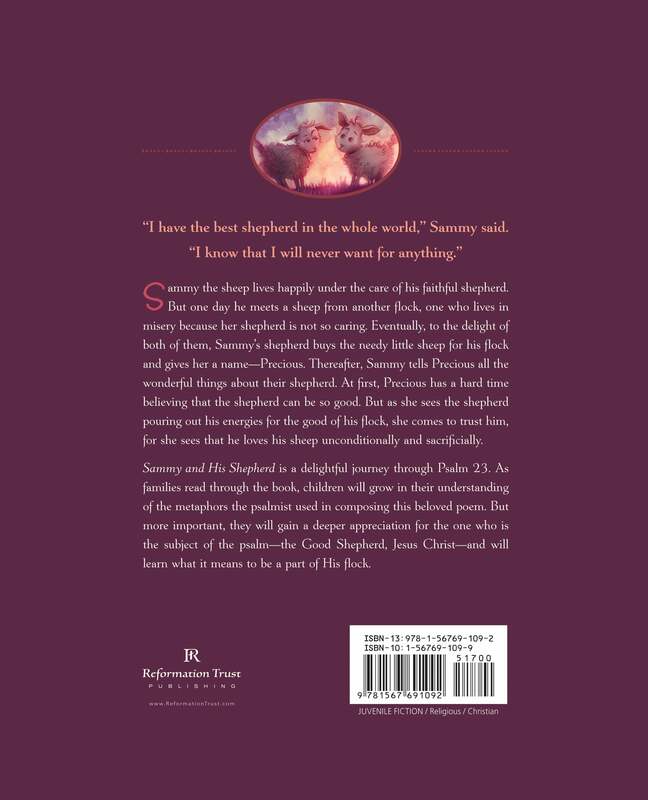 Eventually, to the delight of both of them, Sammy’s shepherd buys the needy little sheep for his flock and gives her a name—Precious. Thereafter, Sammy tells Precious all the wonderful things about their shepherd. At first, Precious has a hard time believing that the shepherd can be so good. But eventually, as she sees the shepherd pouring out his energies for the good of his flock, she comes to trust him, for she sees that he loves his sheep unconditionally and sacrificially. Each chapter of Sammy and His Shepherd is an exploration of a passage from Psalm 23. As they work through the book, children will grow in their understanding of the metaphors the psalmist used in composing this beloved poem. But more important, they will gain a deeper appreciation for the one who is the subject of the psalm: the Good Shepherd, Jesus Christ. 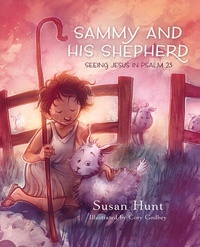 Captivating illustrations by Corey Godbey help Sammy and Precious come to life for children. A special section in the back of the book provides Bible passages, discussion questions, and activities to reinforce the lessons of each chapter. I identified with the sheep! I've also read A Shepherd's Look at Psalm 23 by Phillip Keller. Both books state the same facts but from different points of view: Keller from the shepherd’s and Hunt from the sheep’s. Keller appeals to the intellect; Hunt appeals to the emotions. I am a new Christian and identify with the lost Precious. The poignant picture Hunt paints for children speaks directly to me, too. I feel so blessed to have both books.Together, they have written Psalm 23 in my heart, as He intended. Praise God! This is a wonderful children's book! My son fell asleep after a few pages (It was well past bedtime) but I was unable to put the book down. This book teaches Psalm 23 and breaks it down piece by piece. I learned from this book, and look forward to working through it with my son. I had bought this book a while back with the intention of reading to my children, but never got around to it. After going through a period of intense anxiety, my pastor exhorted me to memorize Psalm 23 and when the "voices" of failure and worry would creep in to start to mentally recite it. I then read this book to my children and I myself was so blessed. God bless this author and Ligonier!